…the futures’ light, the futures’ plastic! With an increasing need to maximise a vehicles’ available payload, the emphasis on the weight of the accessories designed to protect and help load carrying is becoming ever more important. If you can keep the weight of these products to a minimum, you’ll help to improve fuel economy and reduce emissions, or be able to carry more of what you need. Lightweight doesn’t always equal strong, but with raw material production processes becoming ever more advanced, it no longer necessarily means weaker. 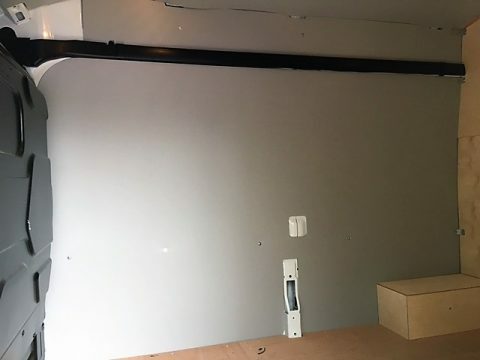 Polypropylene van lining kits have been around for many years, but in the past the materials used were too flimsy, would turn brittle over time, and were several times more expensive than traditional plywood lining kits. Recently, manufacturers of Polypropylene sheeting have designed products specifically for van lining, and through the use of recycled materials have been able to bring the raw material costs down. Here at Van Guard Full Fit we are always looking at new and different ways to improve our products, and we’re now developing a range of lightweight lining kits using these new plastics. 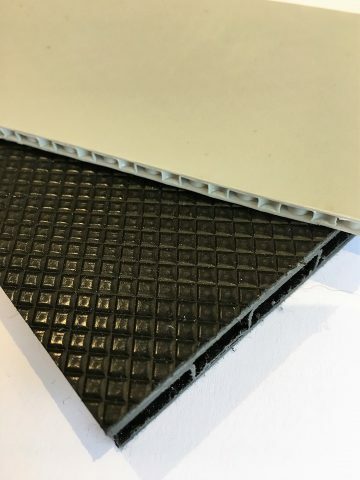 The Polypropylene sheet we use has a ‘bubble core’ with a smooth surface for the side lining and a patterned surface for the floor, to provide some degree of anti-slip properties. It’s not just the light weight of plastic which makes it attractive. If you need to wash out your van, it is fully waterproof, can easily be wiped clean and will not rot or go mouldy. Its also fully recyclable when you’ve finished with the van. Whilst sheet for sheet it is currently more expensive than plywood, the cost of these products can now make more economical sense when the fuel and payload savings are considered. For some, this will never be a replacement for traditional ply lining, but for those looking to lose weight, it could well be the future.